I am still on my craft supply organizing kick and thought I would show off my paint brush organizer from the thrift store. I had a great thrift store score months ago but the inspiration on what to do with it did not hit me until recently. 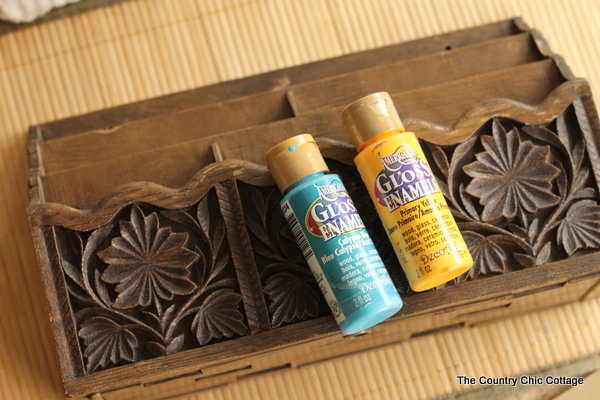 A letter or desk organizer actually makes a great place to put your paint brushes. I found this letter organizer at the thrift store for only $2. It has amazing detail so I had to grab it. It is actually plastic and just looks like wood. Faux wood I guess you could say. I broke out my Americana gloss enamels for this one. I ended up only using the Primary Yellow. I gave up on the two tone idea after this picture was taken but did not go back and take another. Y’all will forgive me right? I literally just painted many, many coats with my Gloss Enamels and a brush. The faux wood was so dark that it took a while to get it covered. You can still see those gorgeous details but I think they look so much better in bright glossy yellow. 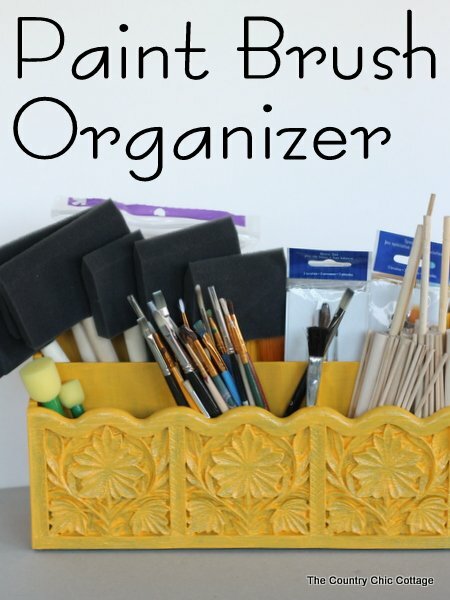 I started by organizing buttons in mason jars and now I am organizing paint brushes in a letter organizer. Do you see a trend? Y’all stay tuned as I hope to have an organized craft area to show you soon. 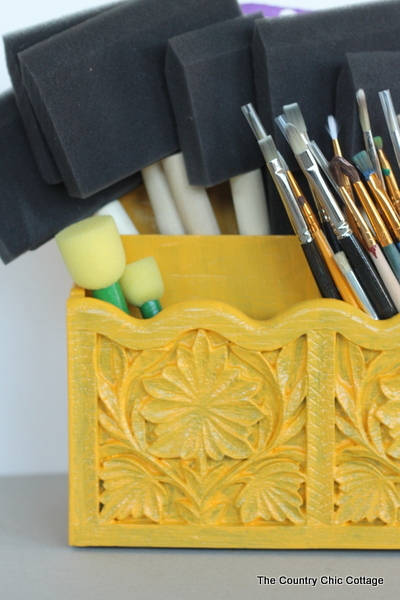 For now I will enjoy this bright yellow paint brush organizer all by itself. What a good idea! Very chic, too! 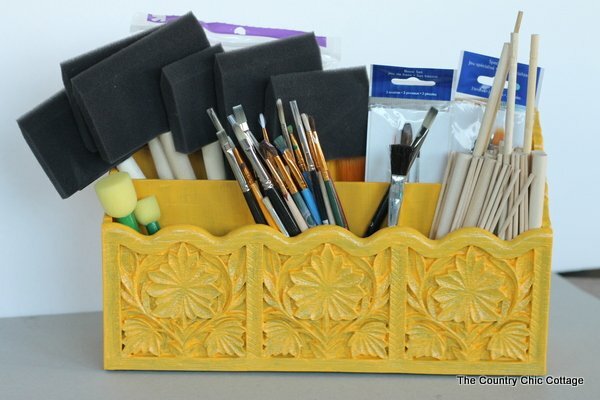 I may have to look for something similar at the thrift store to make a nice holder for my pens and paintbrushes! I have that same organizer and its too small for my papers, etc. I need to use it for this!